Another sweet memory on my childhood. 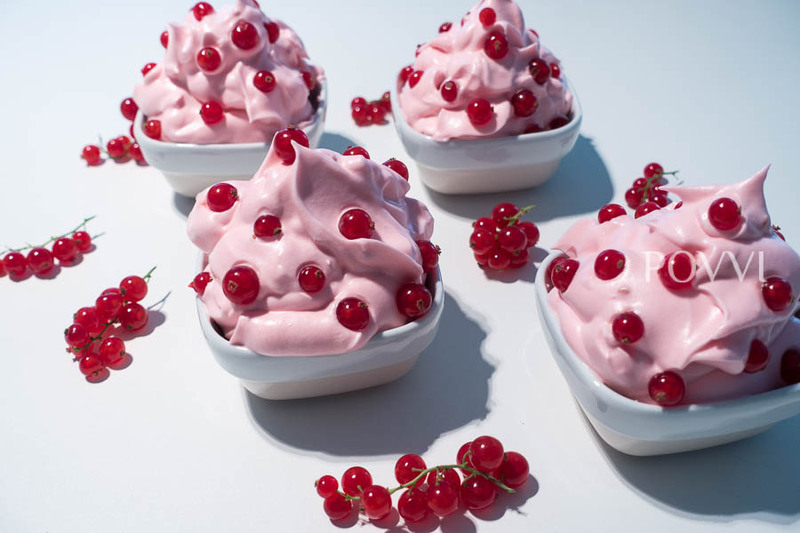 Quickly done and decadent yummy Slovak dessert. Preparation time 15 minutes .. Durability 2 days in case that your children didn’t see you to prepare it. 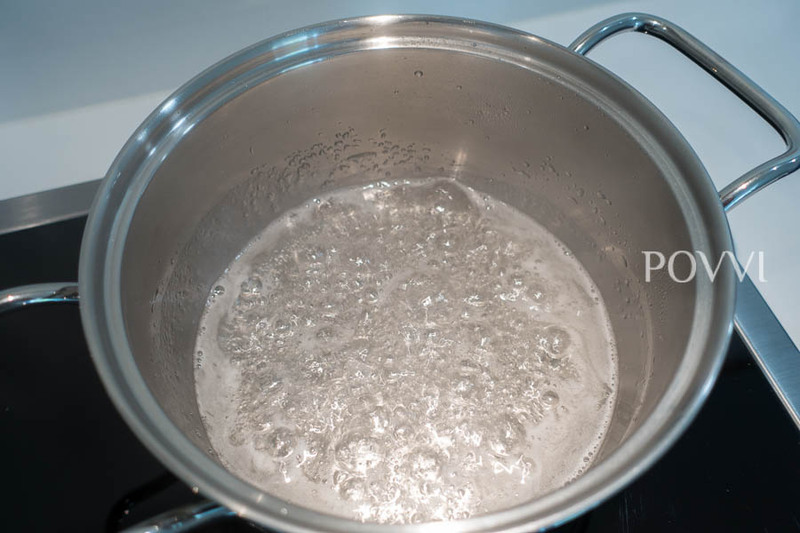 Put 125 g sugar and 50 ml water in a pan and boil until syrup (until large bubbles will occur). In the kitchen robot, mix the egg whit with the sugar into a stiff foam. 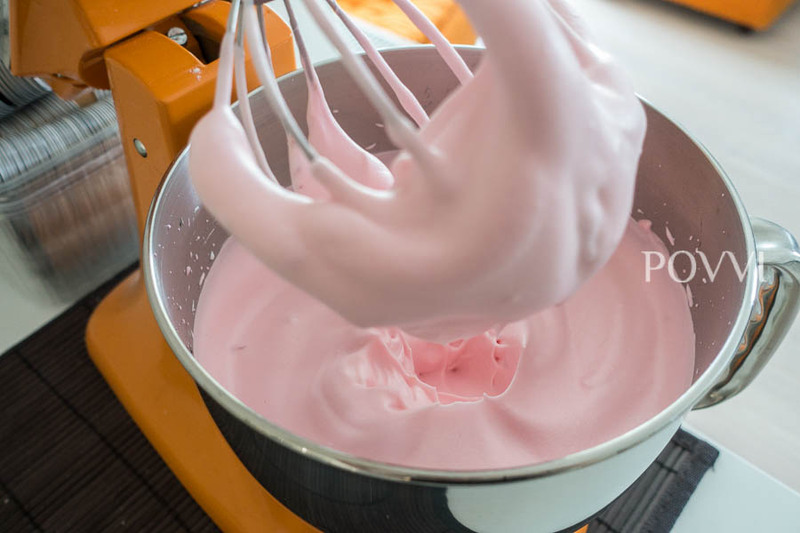 When it becomes stiff, add the sugar syrup in thin streams while meringue is still turning. 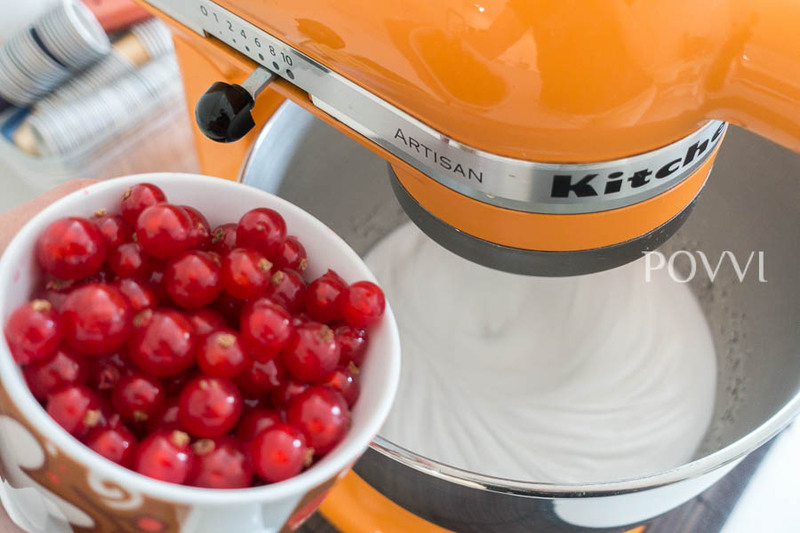 As soon as your meringue increases in volume, add the red berries and let everything run until the foam becomes stiff. 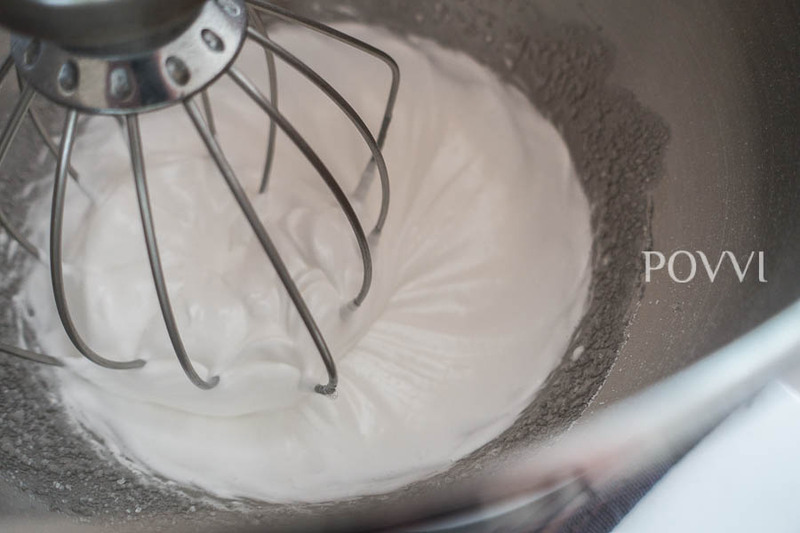 This way your meringue will stay perfect in the fridge for another 2 days. 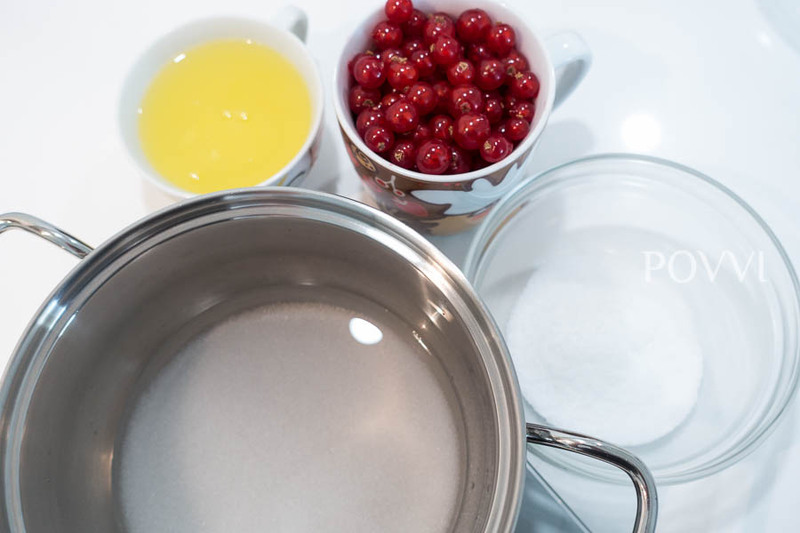 Divide meringue into the jars, sprinkle with some berries and serve. 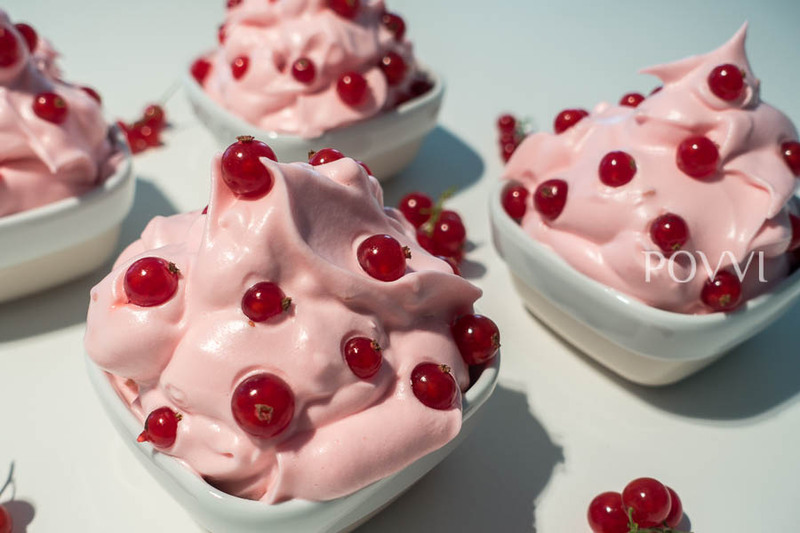 Tastes delicious with lightly sweet champagne!